On today’s show we help you get started on planning your vacation to the islands! What does a fabulous Hawaii vacation cost? The answer is: It depends. Lots of factors will determine the ultimate cost of your island vacation, such as airfares, hotel choices, and excursion options, to only name a few. But, even those with money to burn will agree that finding ways to save money when you travel is the smart choice. So, take a look at our top 5 ways to save money on your Hawaii vacation, and use your savings to book another Hawaii vacation after you return home! 1. Pick the right time to visit: According to USA Today, there are two specific periods to consider when looking for the cheapest times to fly. These make up Hawaii’s low season. The first is in the spring, from the Easter break until the middle of June. The exception is “Golden Week,” held the last week of April, when visitors from Japan come over in droves because of national holidays in their own country. The other half of the low season runs from September through the middle of December. Exceptions to this are Thanksgiving week and the Aloha festivals on specific islands. Each island has its own Aloha Festival scheduled sometime during September or October. It might be harder to get hotel space during those times, limiting the bargains offered. If you’re looking for specific DAYS to travel, consider traveling mid-week. 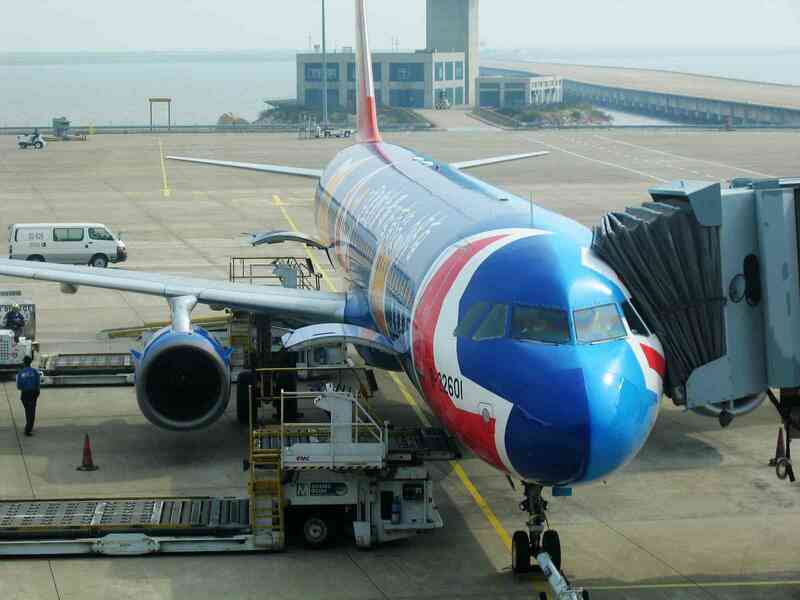 Tuesday, Wednesday or Thursday usually gives you the lowest airfares. Monday and Friday are a little higher, and weekends are the most expensive. You can save hundreds of dollars before you even leave home by traveling to Hawaii during the "low season." 2.Pick the right island: According to Brian Ek, travel editor from priceline.com, visiting all of Hawaii’s six main islands during one trip certainly would cost more than just seeing one. So, Ek says it’s important to research the islands to figure out which one offers what you most want to experience during a Hawaiian vacation. You can look at what each island offers by visiting the Hawaii Aloha Travel website or visit the Hawaii Tourism Authority website, which details things-to-do on each island. Be aware that the three largest islands, Maui, Oahu and Hawaii (the Big Island), have more hotels and vacation properties, so rates are more competitive. Some of the least expensive areas to stay are Kihei on Maui, Kona on Hawaii’s Big Island, a block or two away from Waikiki Beach on Oahu, and Kapaa and Lihue on Kauai, which is less developed than the three biggest islands. 3. Look for vacation packages: If you choose to visit Hawaii and book your hotel, flight, and activities “a la carte,” you may end up paying more for your Hawaii vacation. That’s because many tour operators like Hawaii Aloha Travel and Hawaii Jeep Tours are able to get discounted rates from vendors and pass the savings onto you. For example, when you book a Hawaiian Vacation Package, you can choose to bundle airfare, hotel, and activities in one transaction. Doing so could save you hundreds of dollars, since many vendors offer discounts to tour company clients in return for referrals. 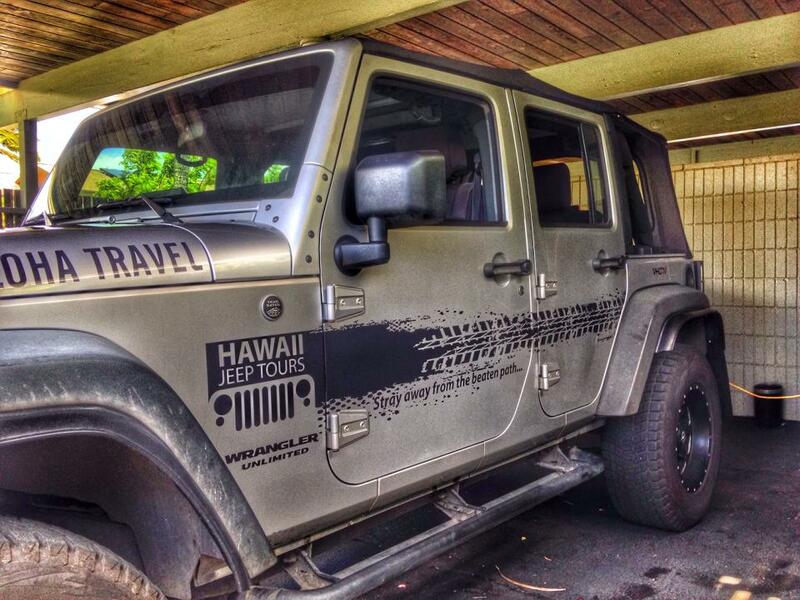 Tour websites, such as Hawaii Jeep Tours, offer deals to customers they wouldn't otherwise find. So, booking a vacation package is a great way to save money. 4. Use discount websites to save on dining: Hawaii may be in the middle of the Pacific Ocean, but we still have access to all the discount sites, like Groupon, Amazon Local, and Living Social. Once you’ve arrived on island (or even before you land), go online to find deals for everything from dining to massages. Many local restaurants offer half-priced meals or deeply-discounted dining through these sites, and it could save you a bundle on food. You may also want to invest in a Hawaii Perks card while you’re here. The card benefits the Boy Scouts, and for your $7 purchase, you can save boatloads of money when visiting various places in Hawaii. Oh, and the Boy Scouts receive 20% of all proceeds. 5. Beaches are free: Don’t forget that the best excursions in Hawaii may be FREE. For example, many visitors grab a boogie-board, paddleboard or surfboard and head out for a day at the beach free of charge. Or, take your snorkel gear and spend the afternoon snorkeling around our many reefs. All the islands have fantastic beach parks and jungle gyms for kids, too. It costs nothing to hike some of our trails or soak up the sun as you walk from your hotel along merchant-lined streets like Kalakaua Avenue. And, don’t forget Hawaii has fantastic malls, like Ala Moana C,enter. Even if you don’t end up buying anything, window shopping in the world’s largest outdoor mall is worth the trip. Yes, a Hawaii vacation may be one of the biggest investments you make, but there are ways to cut-down on the costs associated with your trip. So, apply some of these money-saving tips to your next visit, and you’ll have even more fun knowing you’ve saved a buck or two!